Get My Free $30 Now! Since launching in November 2013, Betfair Casino has risen from virtual obscurity to become one of the leaders of the NJ online casino industry. Its ascent to the top comes as little surprise, however, as long before Betfair entered the New Jersey market, it had built the largest online betting exchange in the world. Its alignment with top casino platform provider GAN and later, industry leading Golden Nugget AC, only solidified its chances of success in the US. In our eyes, Betfair Casino is one of the few legal and regulated sites in New Jersey to truly differentiate itself from the pack, offering a bevy of exclusive titles/formats, a well-designed VIP rewards program, and one of the market’s best free money and first deposit packages. This is an operator who clearly means business, and one who is willing to shell out the big bucks to give the players what they want. Suffice it to say, NJ online gamblers that play on Betfair might quickly find themselves calling it home. Create a Betfair Casino account using the links on this page get $30 absolutely free. This is an exclusive offer, $20 better than the standard bonus for the general public, and is only available to new customers that use the promotional code NJOG. In addition, players that make their first real-money deposit of at least $50 will receive an additional bonus of 100% of the deposit amount, up to $2,500. The monetary cap on this bonus ranks among the best offered by NJ online casinos, so players looking for big value are encouraged to take part. The free $30 is deposited into player accounts immediately upon successful registration of an account. There are absolutely no wagering requirements tied to the bonus. The bonus itself cannot be withdrawn, but any winnings can be, in as long as the player makes a successful real money deposit. As for the deposit bonus, it carries a 20x wagering requirement on online slots, which must be met before you can withdraw your bonus funds. 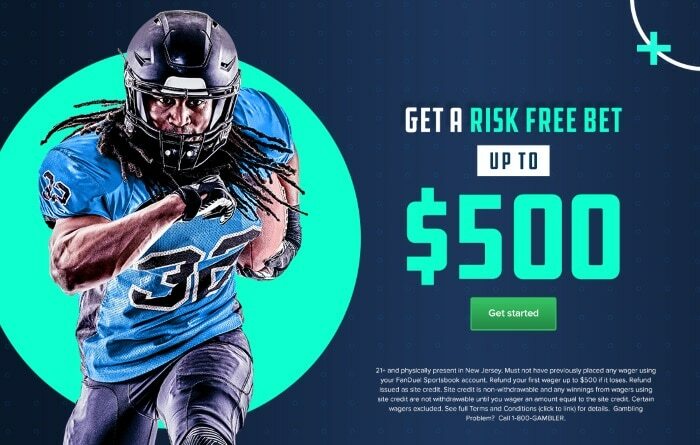 For example, players that make a $50 deposit would receive $50 in bonus cash. Then, players would need to wager $1,000 in order to cash out the full bonus amount. Keep in mind that some games contribute more to the requirement than others. The quickest path to clearing your Betfair bonus is by playing slots, which contribute at a rate of 100%. Roulette contributes at 50% and all other table games and video poker at 10%. What are the best things about Betfair? Welcome package: Betfair has an exclusive $30 free money offer, alongside a $2,500 deposit bonus. until recently this was the highest in New Jersey, but while the recently added Ocean Casino offers a larger match it is under far worse terms so Betfair still has the advantage of earning the title of the “Biggest (Realistic) Welcome Bonus”. Game selection: At launch the Betfair game library started out as meh, without much of anything worth boasting about. However in recent years the site quickly grew their repertoire and now offer a decent selection. In particular the site helped pioneer Live-Dealer games in the market, alongside partner Golden Nugget. They also offer the very interesting exclusive Jackpot slot Colossus Frac/Pot. Customer support: The site has top-notch support offered. While the features are standard (live-chat, e-mail, and phone options) the responses are handled very well making Betfair’s help a model for other sites. Mobile access: Betfair offers a stand-out mobile app for IOS and Android. The software is highly functional, and has a significant amount of their Live-Dealer games available. Aside from the initial bonus, Betfair’s promotions schedule heavily favors very high-volume and/or high-stakes players. While the rewards system is straightforward (real money play points are converted into cash) the program has steep play requirements. 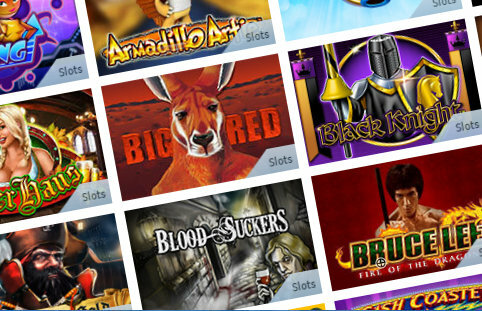 Betfair Casino has a sufficient selection of games, boasting over 380 titles in total. In the collection players will find a massive amount of slot titles, nine video poker machines, eight roulette tables and six blackjack games. They’ll also find Let It Ride and No Commission Baccarat, along with less commonly spread games such as Hi-Lo Solitaire, Poker Bet, and EZ baccarat. Not only that, but many of Betfair’s titles are exclusive to the site. Slots are far and away the most popular games offered at NJ online casinos, and with more than 340 total, Betfair Casino NJ has them in spades. There are so many different themes, game structures and bonuses represented in the site’s catalog, that aficionados could play for ages without ever getting bored. Yet, as big Betfair’s slot selection is, it only ranks about average for the market, with several of its competition offering over 400 slots at present. Instead, where Betfair’s slot library truly shines is in the area of exclusives. Simply put, no other site has even close to the number of exclusive titles that Betfair offers. We’re talking 23 unique titles in total, in an industry where between 3 – 5 is about average. Divine Fortune: Arguably the most popular progressive slot machine in all of New Jersey. Often boasts a six figure top prize. While some of its competitors offer a wide selection of digital blackjack variants, Betfair only spreads four, Netent Blackjack, IGT Blackjack, Blackjack Multi Hand, and Pro Blackjack. The IGT version offers the best edge, but only slightly. In the Pro version of the game, players have the added ability to bet up to five hands at the same time, speed up the action with turbo mode and wager a whopping $10,000 max. Blackjack is also available as one of Betfair’s Live Dealer games. EZ Baccarat: In normal baccarat games, the deck is shuffled after every hand. In this version, the dealer plays out an eight deck shoe and posts the results on a tracker. This gives you the chance to follow patterns in the deck and make wiser decisions on future hands. EZ Baccarat also lets you place side bets on whether the banker will win with a three-card 7 (pays 40:1) or whether the player will win with a three-card 8 (pays 25: 1). Hi-Lo Solitaire: Who of us hasn’t alleviated boredom by playing solitaire on the computer a few times in their lives? Now you can spice up the experience by putting your skills to the test and winning money at the same time. In addition, Betfair also has Live Dealer Roulette and Live Dealer Baccarat. For those that love to play poker, but don’t feel like heading all the way down to the local card room, Betfair offers several options. Unlike its competitors, some of which only spread games developed by Game King, the site includes Deuces Wild, Jacks or Better, and Poker Bet, all made by GameAccount Network. 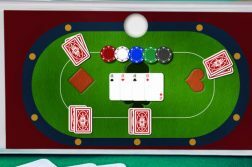 Poker Bet is distinct from most other video poker games, as its gameplay follows the rules of Texas Hold‘em, rather than draw poker. The other six games are classic Game King offerings, still popular over 30 years after being introduced. 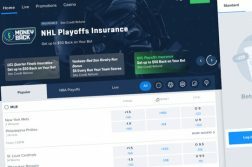 Virtual Sports combines the thrill of sports betting, the aesthetics of a video game, and the randomness of a slot machine — all in one format. 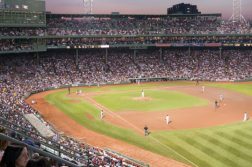 Betfair’s latest gambling variant enables bettors to place wagers on a variety of sporting and racing events, just as they might on traditional contests. Then, they can watch the action unfold via a digitally rendered live stream. Wagers start at as little as $2, with a maximum of $50 on any given bet. And each sport hosts a contest every four to eight minutes, all day, every day — no lull in the action here. Claim My Free $30 Now! Betfair offers players the chance to boost their bankrolls with a nice mix of seasonal promos, sweepstakes drawings, leaderboard races and more. When you opt into Betfair’s Bonus Chase, you’ll have the chance to earn money even if you lose at the tables. To enter, make a minimum deposit of $10 between Tuesday at 12:01 AM and 11:59 PM using the promo code CHASE. When you play slots or table games during that time period, you’ll earn points which can translate into a bonus of up to $1,000. Note that you’ll be paid in site credits, which can’t be withdrawn as cash, but can be used to make bets on Betfair games. If you win a bet made with a site credit, you’ll receive unrestricted cash that can be withdrawn at any time. Make a minimum deposit of $10 between Thursday at 12:01 AM and Sunday at 11:59 PM and you’ll be entered into Betfair’s Weekly Sweepstakes. During that time, you’ll earn contest tickets when you play real money games on the site (1 for every 30 Tier Points). On Monday, the previous week’s tickets are tallied up and the winners are chosen. The bonus is awarded as a site credit. Each week, Betfair chooses one game in its collection to serve as the site’s Game of the Week. When you wager $250 on the title in a single day, you’ll earn a $5 site credit. If you enjoy playing on Betfair, then referring your friends to the site can be very profitable. Just enter the email addresses of those you’d like to invite and they’ll receive a $10 credit when they sign up, while you’ll get a $25 bonus when they make their first deposit of $25 or more. Once you have chosen your favorite online casino, it sometimes a good idea to concentrate your play on that site only to take advantage of loyalty programs. Betfair’s program is called Betfair Casino VIP, and rewards players with special bonuses, event tickets, gifts and more. Each time you play a real money casino game, excluding craps and Poker Bet, with unrestricted funds, you’ll earn Tier Points and Bonus Points. Tier Points determine your level, while Bonus Points can be redeemed for cash. There are five levels included in the program; the higher the level, the more perks you will receive. Before online gambling was legalized in New Jersey, unregulated offshore sites struggled to process player deposits and withdrawals. In order to fool banks and credit card companies, they implemented creative – and illegal – solutions that did not always result in a successful transaction. Now that the industry has become legal, that problem has largely been solved and players can deposit and withdraw quite easily using a variety of methods. MasterCard/Visa debit or credit cards: Transactions process instantaneously, but credit/debit cards are subject to higher rejection rates than most other methods. Skrill: Betfair appears to be the only NJ online casino to offer the Skrill eWallet without also offering its sister service NETELLER. Pay Near Me: If you live close to a 7-ELEVEN, you can print out a form and deposit your cash at the convenience store. Betfair Prepaid Card: Make your deposit using a Betfair Prepaid Card, which is essentially a virtual casino wallet. Once you have the card, you can load it with your Visa, MasterCard, Discover card or your bank account, then transfer those funds directly into your Betfair account. The card comes with a few other advantages as well. Your withdrawals will be made instantly onto the card, which can also be used at ATMs, and on the PULSE and NYCE networks. There is a $3.75 monthly maintenance fee, however, but the site will sometimes wave it during promotional periods. In Person: Just show up at the casino cashier at Golden Nugget in Atlantic City to make a cash, credit, debit or personal check deposit! Betfair Prepaid Card: Withdraw to your prepaid card and get your cash loaded instantly. In Person: Show up at the Golden Nugget casino Cashier’s cage with your ID and get your money immediately. With Betfair’s browser-based and mobile software options, the site has made sure that players can access their account and play from nearly any device. Web browser: To begin playing on Betfair Casino NJ, simply navigate to the website and click the game of your choice. There is no software to download, only a plug-in which verifies your location. iOS/Android: No matter where you might be in New Jersey, you have the option of playing games through the site’s smartphone apps. Currently, over 180 games are available on mobile, including over 170 slots, Live Dealer games, and Virtual Sports. When you have an issue, it’s good to know that your questions will be handled quickly and efficiently. Betfair Casino NJ provides excellent customer service through is live chat feature, by email ([email protected]) and by phone (877-689-0662). Betfair was originally partnered with the now defunct Trump Plaza, having launched alongside the first wave of regulated NJ gambling sites in November 2013. It was the only operator whose software platform was powered by GAN, formerly GameAccount Network. Since pairing up with Betfair, GAN has won eGaming review’s Casino Platform Supplier of the Year Award twice, in both 2015 and 2016. At first, Betfair offered both online poker and casino games, but the poker site never gained any traction and was eventually dropped. Due to an economic downturn and competition from neighboring states, Trump Plaza permanently closed its doors in late 2014, becoming the fourth AC casino to go belly up that year. The situation posed a then unprecedented challenge for Betfair, which operated solely thanks to a license acquired through the casino. Betfair temporarily latched on with Caesars, but was still in need of a permanent home. Ultimately, Trump shuttering its doors would prove a blessing, as Betfair Casino took residence under the Golden Nugget Atlantic City internet gaming license. At the time Golden Nugget was just ramping up its marketing spend, and was happy to embrace Betfair in a way that Trump Plaza was simply not capable of. Golden Nugget’s increased focus on the NJ market, and its partnership with Betfair would soon spark a boom for the operator, propelling it to market share leader — a status it retains to this day. These days the triumvirate of Betfair Casino, Golden Nugget Casino, and upstart Play SugarHouse consistently put up $5 million+ in monthly revenue. Betfair’s large deposit bonus offer, coupled with a loyalty program that allows users to redeem on-demand, are some of the reasons that have helped it become one of the top online casinos in NJ. Little known fact: Betfair is known for having paid out the highest prize for a single game in the history of NJ online gambling. On February 23rd, 2015, a Union County man won $1,522,000 in a single hand of Let It Ride. The player placed $500 on each of three bets and an additional $500 on a bonus side wager. The player won the maximum payouts on both the bonus (40-1) and each primary bet (1000-1) by completing a royal flush. While Betfair may not be a well-known name in the US, it is one of the biggest iGaming companies in the world. In NJ, it offers the biggest deposit bonus in the industry and features a variety of exciting promos like Bonus Chases and sweepstakes. On top, players can trade points earned in the site’s VIP program for cash. High-stakes and high-volume players will love the rewards this casino has to offer.